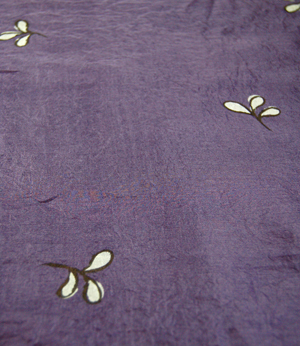 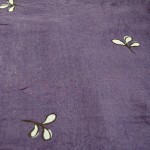 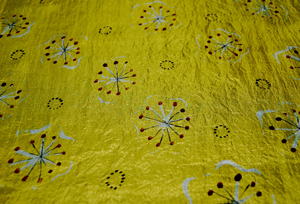 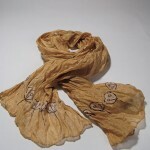 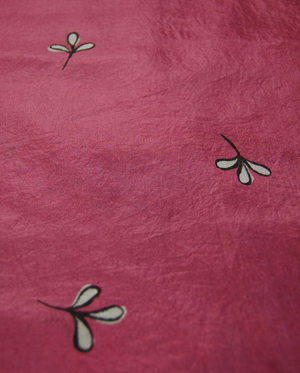 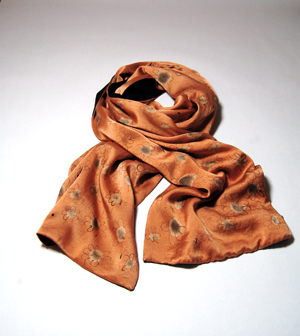 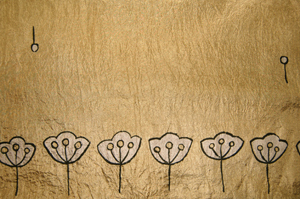 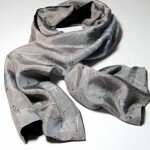 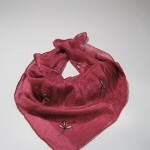 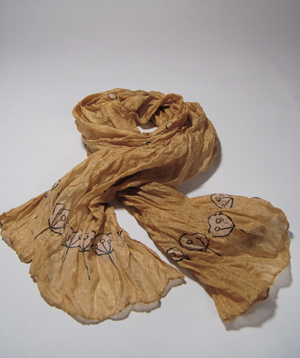 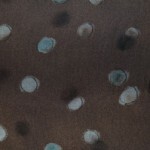 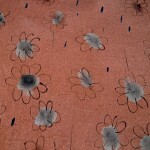 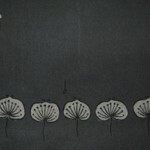 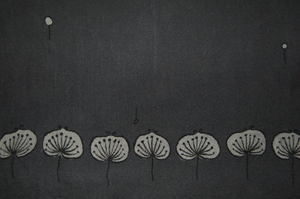 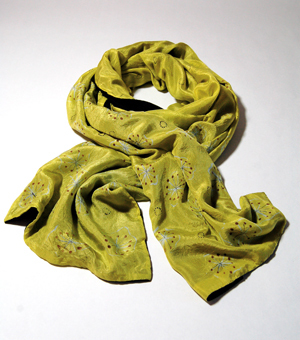 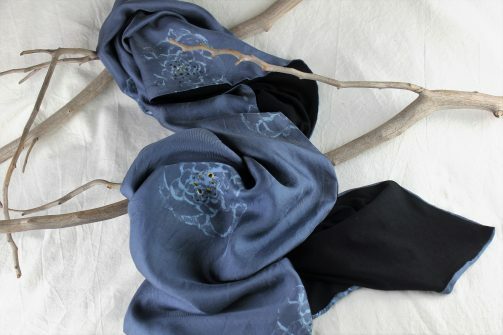 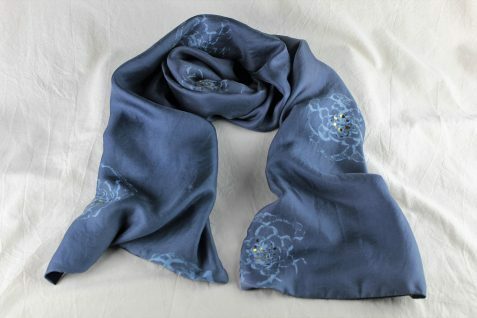 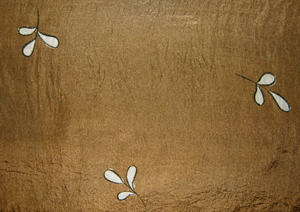 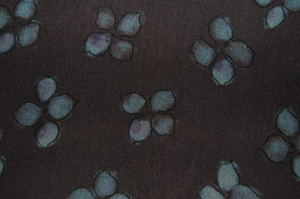 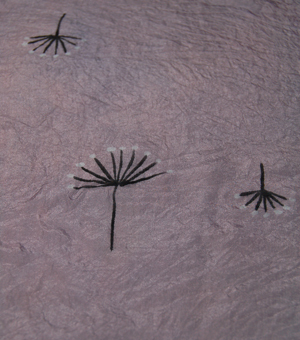 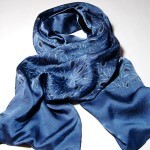 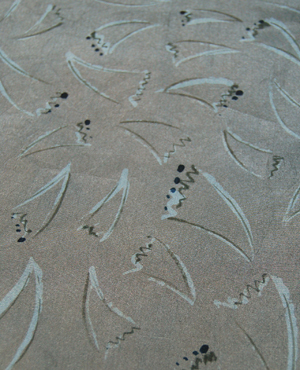 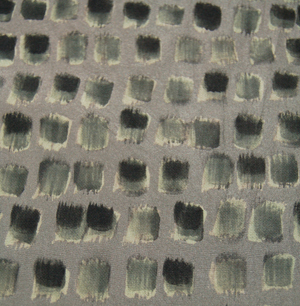 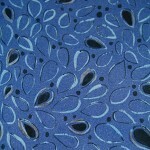 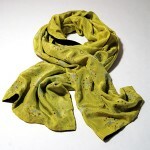 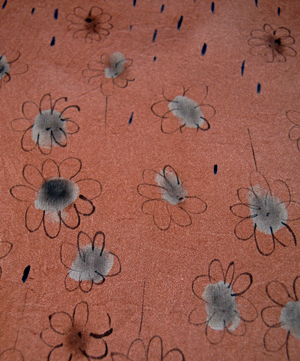 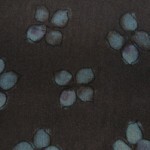 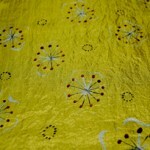 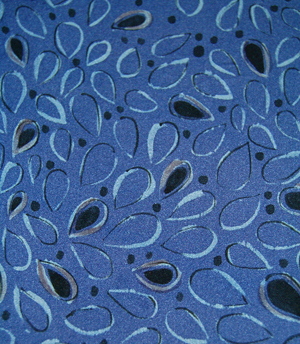 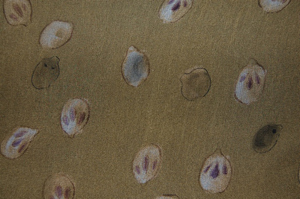 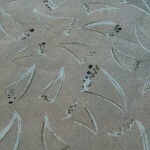 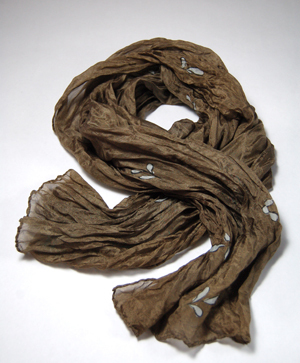 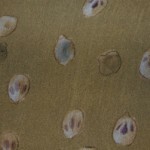 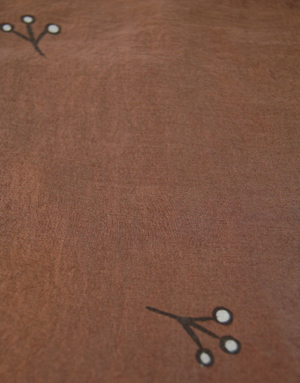 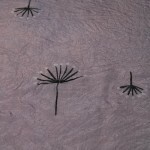 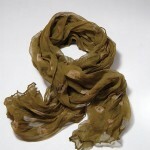 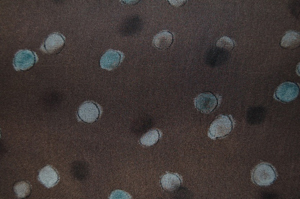 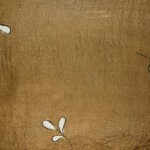 Hand dyed hand printed silk is finished with GOLD either by foiling, painting, or with thread. 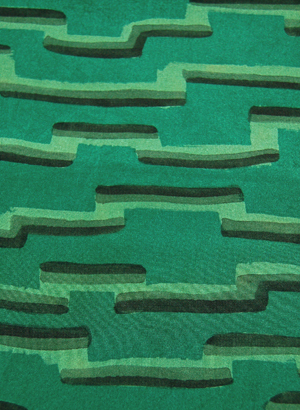 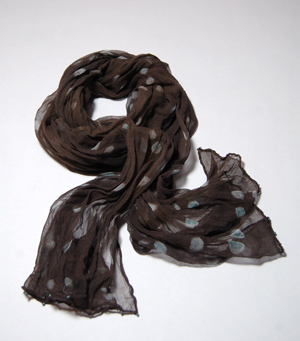 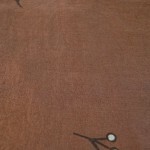 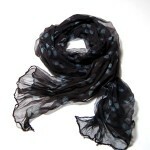 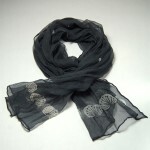 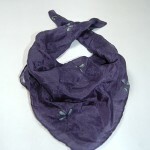 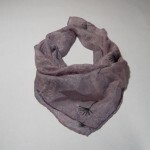 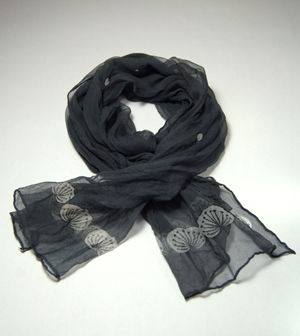 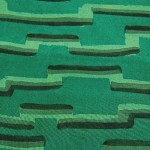 Lined Scarves: These are lined with black jersey material, measuring approx 170cm x 28cm. 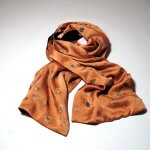 They have a nice drape, and are comfortable to wear, yet they have a luxurious feel. 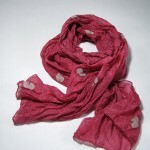 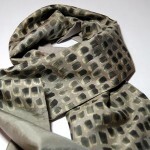 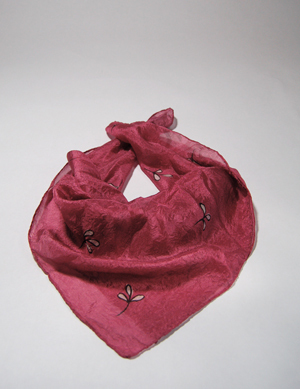 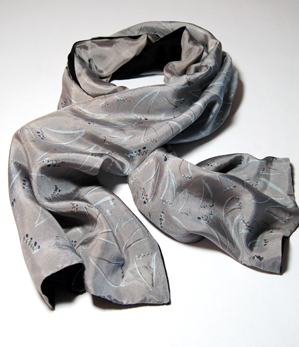 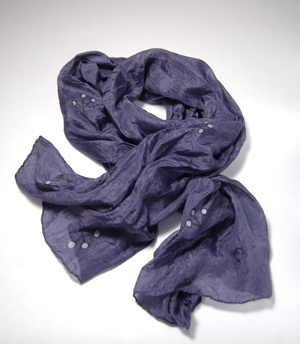 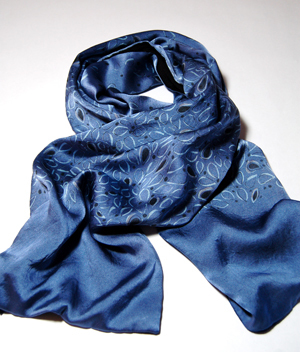 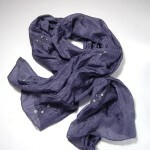 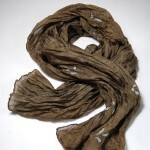 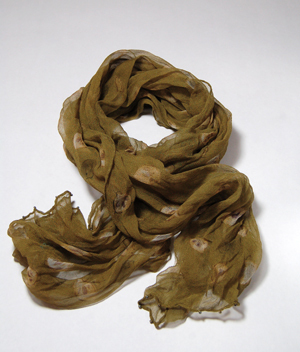 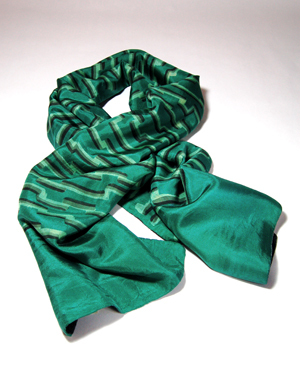 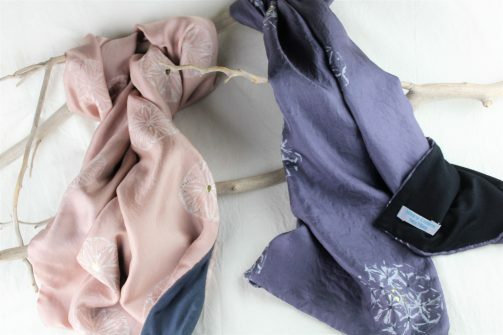 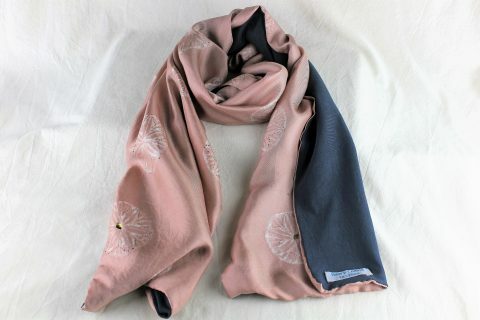 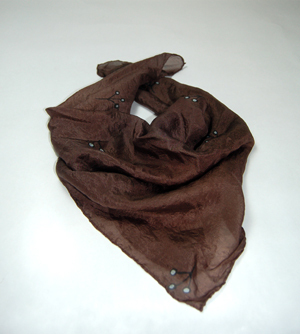 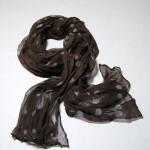 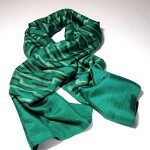 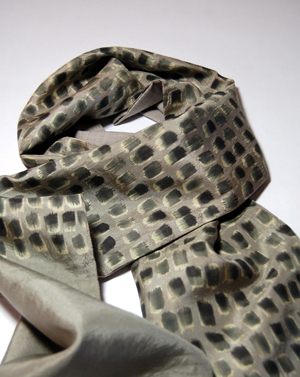 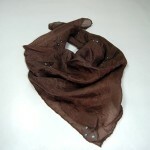 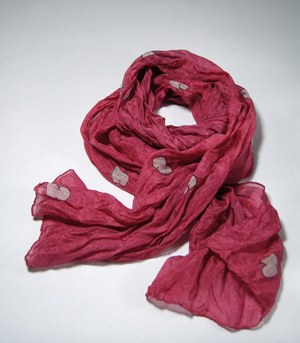 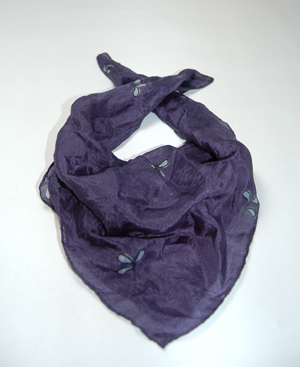 Unlined Scarves:These are lightweight silk scarves of two different types. 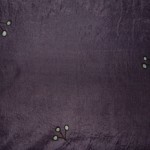 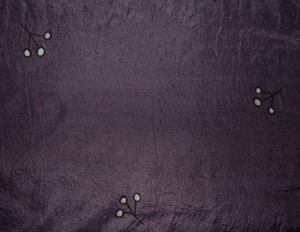 Silk chiffon, measuring 35cm x 130cm (and stretchy); and silk pongee, measuring 40cm x 145cm. 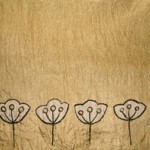 In their own little handpainted bag, they can make a unique gift, (bag optional). 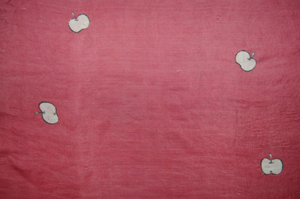 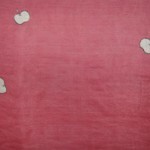 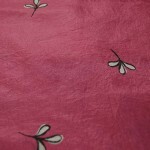 Silk Squares: Measuring 55cm x 55cm,these silk squares have their own handpainted bag, if required.